It was hubby’s birthday last December 2. We already had a simple celebration at home the day before that, but hubby also treated us to dinner on the day itself. Because it was an impromptu dinner, we decided to just go to a restaurant near our place, Chef & Brewer, and we ordered the following: Tuna Belly and Grilled Pork Sinuglaw, Lengua Estofado and Fish & Chips. 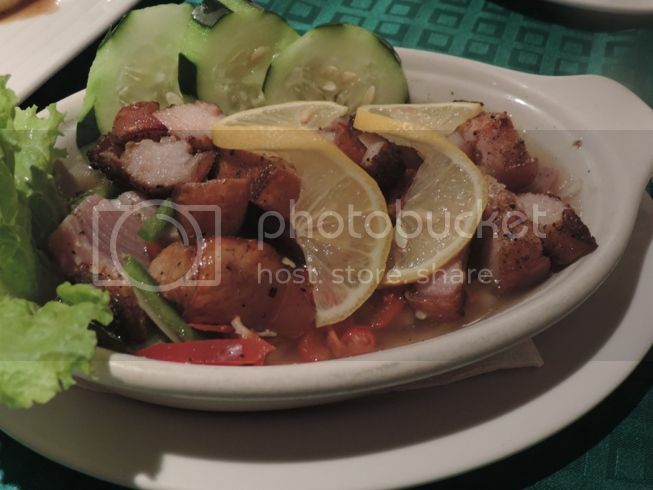 As the name suggests, Tuna Belly and Grilled Pork Sinuglaw is a combination of grilled pork and Tuna Belly Kinilaw. It’s actually my first time to eat fish kinilaw, and I really enjoyed it! The pinkish tuna belly was soft and tasty, and there was no fishy taste at all. Lengua Estofado is stewed ox tongue cooked in tomato sauce. 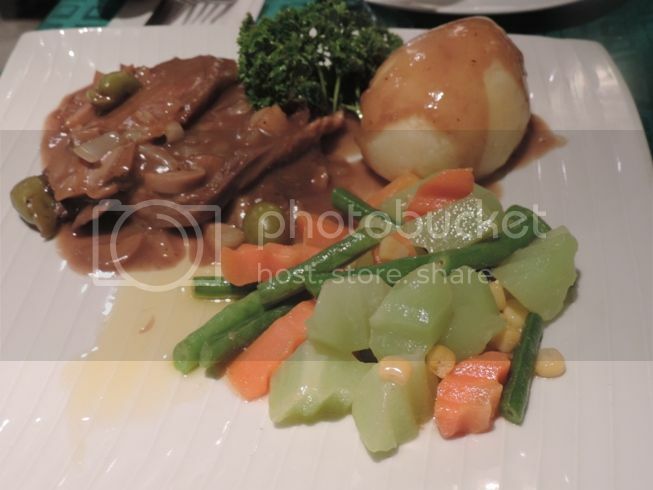 This particular lengua estofado has mushrooms and is served with mashed potatoes and buttered veggies. It was a delight to eat the ox tongue because it was so tender and it was seasoned just right. Our son loves breaded cream dory fillet and fries. 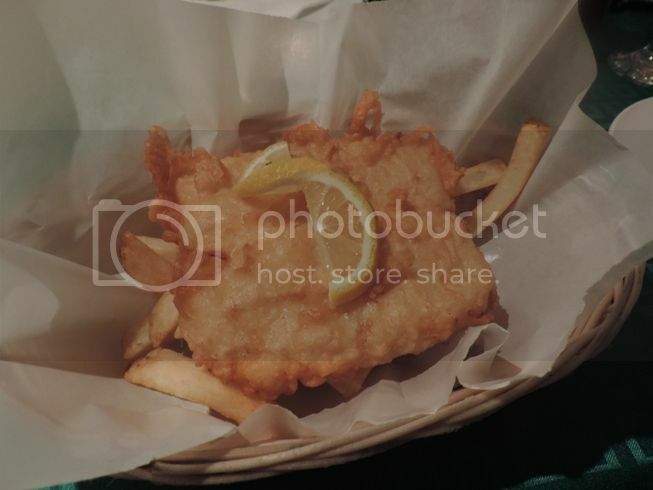 That’s why we ordered Fish & Chips for him, but because the serving was huge, he wasn’t able to finish everything. Not to worry, though, because three hungry adults were actually waiting for his leftovers. Lol! Belated happy birthday, hubs, and thanks for the treat! This entry was posted in Birthday Blowout, Birthday Treat, Chef & Brewer Cafe and Restaurant. Bookmark the permalink. belated Happy Birthday to Mr Tetcha! 🙂 the tuna belly with pork is tempting!